Get up close and personal with the early American furniture collection at the Whitehorne House Museum. Jeffrey Greene will be turning his craftsman’s eye to the minute details of a piece that help to identify the maker. Only a tiny percentage of high-end Newport furniture is signed or labeled, but craftsman’s markings and methods of work are as identifiable as handwriting and have yielded some surprising discoveries. Expect hands-on experience and careful examination during this seminar-style workshop – we’re turning tables upside-down, removing drawers, and getting on hands and knees to study the distinct form of Newport ball-and-claw feet. This program is the second in a two part series; the first workshop is scheduled for October 14. 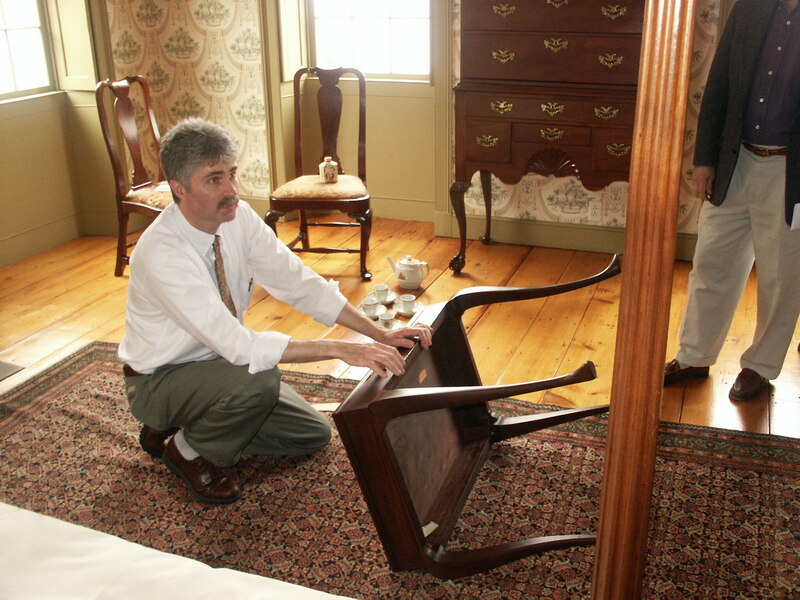 Jeffrey Greene is a furniture maker specializing in 18th-century American designs. His expertise is in creating historically accurate replicas of important original pieces from museums and private collections. With thirty years of experience and well over 1,000 pieces to his credit, Greene is best known for his work in the manner of Newport, Rhode Island’s legendary cabinetmakers, the Townsends and Goddards. His work has appeared in Traditional Home, Architectural Digest, Colonial Homes, Early American Life, Fine Woodworking, In the 18th Century Style, and The Custom Furniture Source Book. Greene is also the author of American Furniture of the 18th Century: History, Technique, Structure and an upcoming book on Newport’s Townsend and Goddard cabinetmakers.